This book took the author over three years to research and write. It covers the doctrine and history of Baptist-like people from John the Baptist to modern Baptists in America - 2000 years of Baptist history. It is called a primer because it is only an introductory work or a short work. 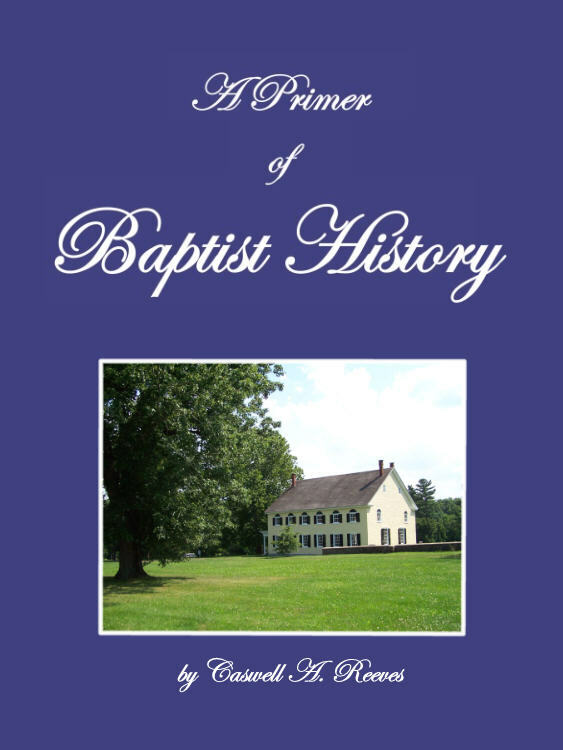 A Primer of Baptist History is a quick reference for pastors and church members alike to refresh themselves on their Baptist heritage. Because it is written with a Baptist pastors bias, the reader will find many illustrations for preaching and teaching, for historic examples of Baptist practice, and for a biblicist Baptist approach in the presentation of the Scripture and its doctrines. Psalm 119:111 "Thy testimonies have I taken as an heritage forever: for they are the rejoicing of my heart."